Due to overwhelming demand for storage in the local area, we have expanded our operations and services we can offer to our customers. We have acquired new wooden storage boxes which offer concise, secure and an environmentally friendly storage solution. At only £10.60 a week inclusive of VAT, these offer affordable options for your storage requirements. 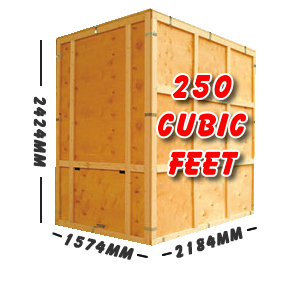 The boxes can store up to 250 cubic feet, for a wide range of purposes from archiving to furniture storage. We can store these either high in warehouse storage or on ground level for easy access. For availability updates and the full price list, please click here. Whatever your requirements for storage either to rent or buy, please please call us 01253 857678 for availability, contact	us online.